Save the date: Friday, June 8th! Save the Date! Friday, June 8, 2018 at the Falk Laboratory School (4060 Allequippa St, Pittsburgh, PA 15261). 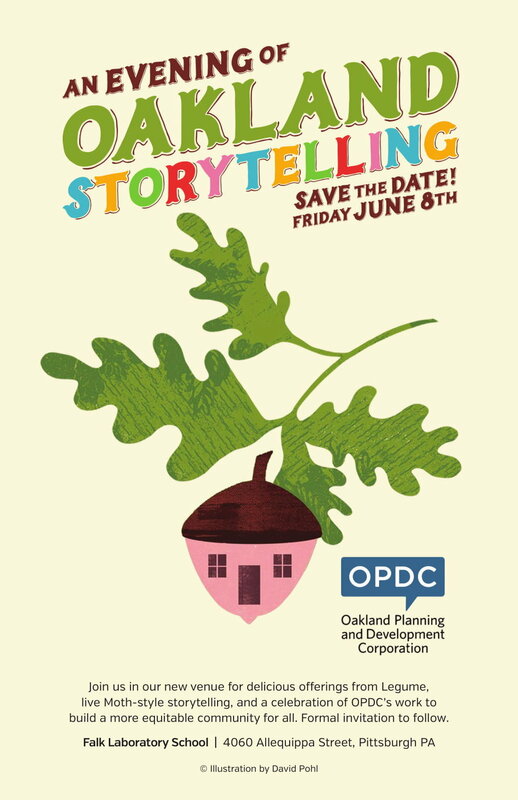 Join us in our new venue for delicious offerings from Legume, live Moth-style storytelling, and a celebration of OPDC's work to build a more equitable community for all. Formal invitation to follow.